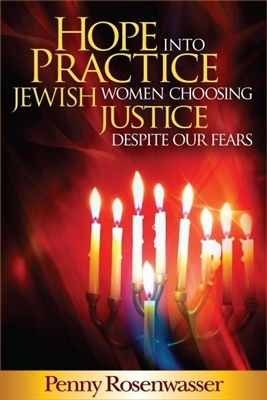 Anchored in Jewish ethical tradition, community-building, and an activist’s call to repair the world, Hope into Practice asks Jewish women for the courage to love ourselves enough to face our fears without acting on them—to free ourselves of internalized anti-Semitism, expanding our sense of possibility, empowering our activism. 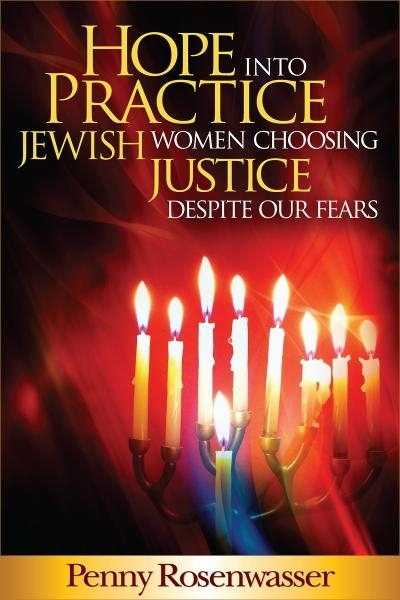 This book brings to life an irresistible blend of healing stories, fascinating history, and a fair-minded perspective on Israel-Palestine, inviting us to use privilege to shift power and midwife justice. Includes action-oriented Reader’s Guide, for groups or individuals. Penny Rosenwasser has been MECA Special Events Coordinator since 1991, and is the author of Visionary Voices, Women on Power: Conversations with shamans, activists, teachers, artists and healers, and Voices from a ‘Promised Land:’ Palestinian & Israeli peace activists speak their hearts. A life-long heartfelt rabble-rouser for justice, she earned her Ph.D. at the California Institute of Integral Studies (San Francisco) in Transformational Learning & Change. Penny is former Jewish Caucus Chair of the National Women’s Studies Association and a founding board member of Jewish Voice for Peace. She teaches an Anti-Semitism/Anti-Arabism class with a Palestinian colleague at the City College of San Francisco and belongs to Kehilla Synagogue.